• Used in widely ranging situations, such as office buildings, care institutions and bay windows in private homes. • Easy to bend and of exceptional quality. The 2102 is one of Goelst’s most popular narrow channel tracks. 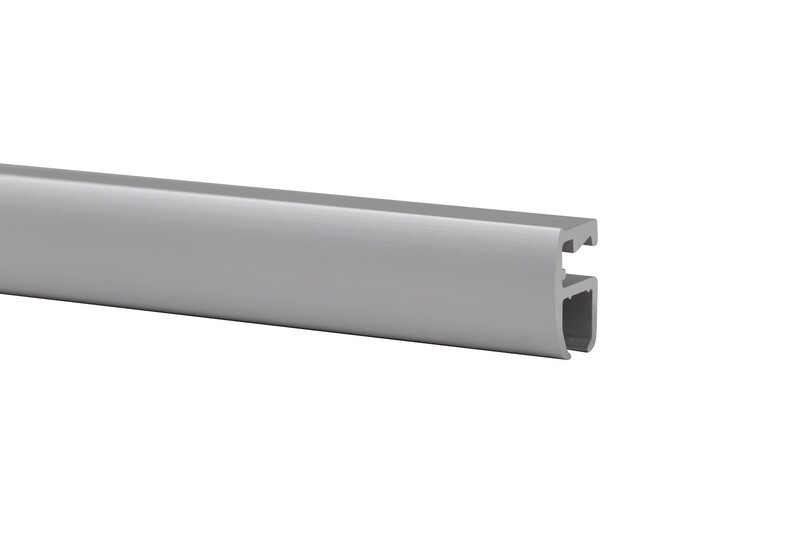 This compact track can be mounted in various ways on a wall or ceiling, and it is used in widely ranging situations, such as office buildings, care institutions and bay windows in private homes. 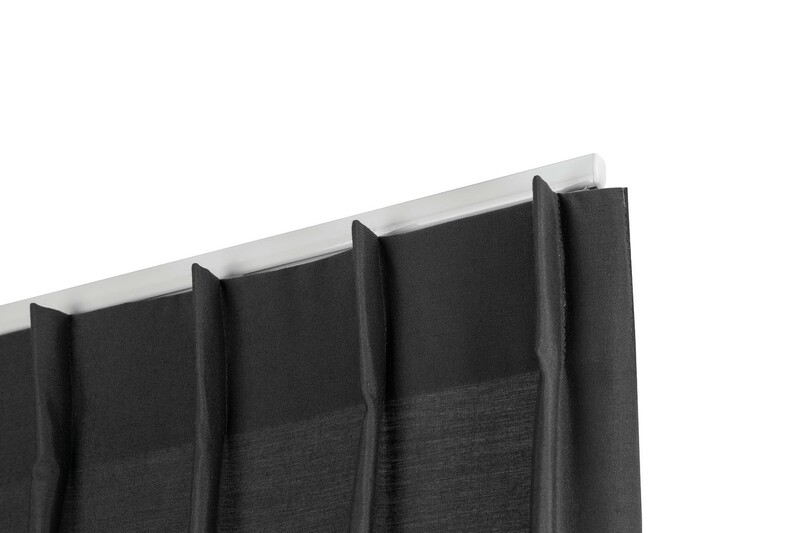 The ideal track for sheers and light or medium-weight curtains. Smart mounting brackets with cover flaps that conceal screws from sight. Silent and smooth running, also round bends. The 2102 is designed with an eye for detail: the smart mounting brackets have click-on covers that conceal screws from sight. Coating colours: white RAL9010, black RAL9005. Maximum supported weight guideline: see fixing guide – the minimum distance required between supports can vary depending on the weight, form and tailoring of the curtains. The 2102 can be forward or reverse bent to create attractive returns. 12 self-lubricating 2010 gliders per metre and two 2001 end stops plus two 2253 end caps per track system. 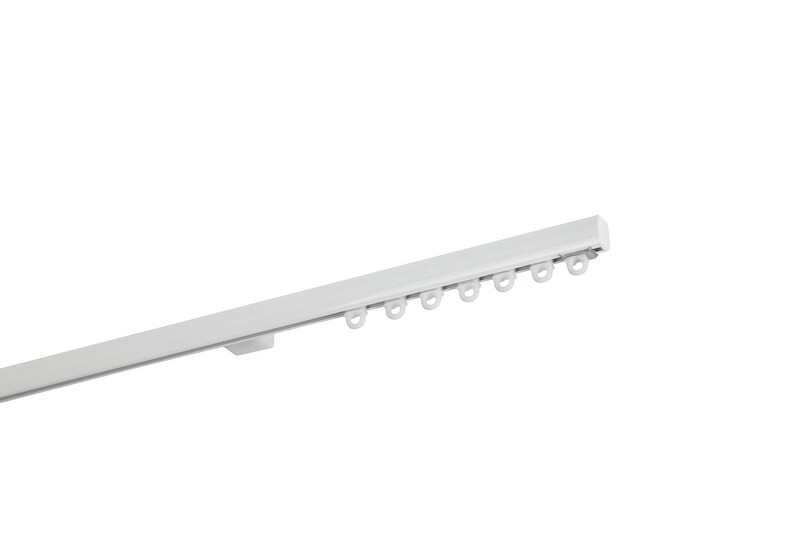 2150 ceiling support brackets with a screw-concealment cover, spaced 50-60cm apart. The standard fixing method for 2102 profiles longer than 7m is to join them together using connecting bridge 2152. •	2010 gliders are available with various hook types. 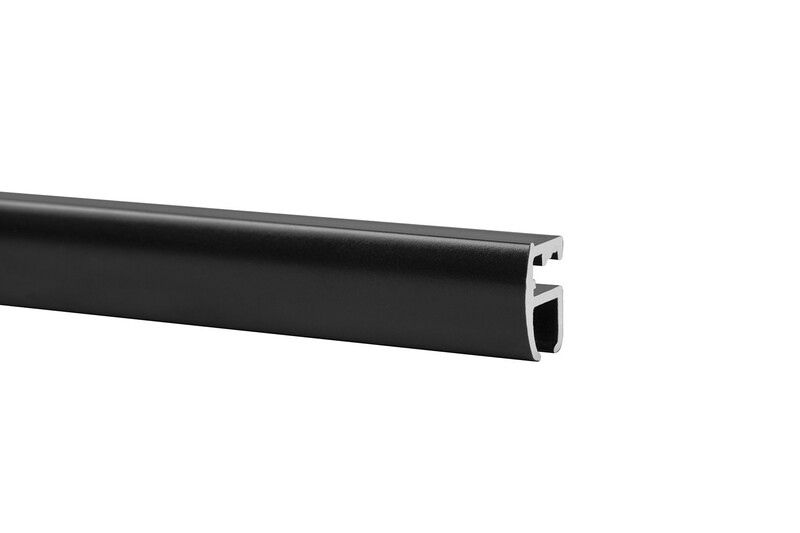 •	The 2102 curtain track is compatible with the Goelst Flow System: gliders 2014-060 or 2014-080. •	The 2012 click glider can be placed anywhere in the system. It is advisable to place gliders of this type on the stacking side. 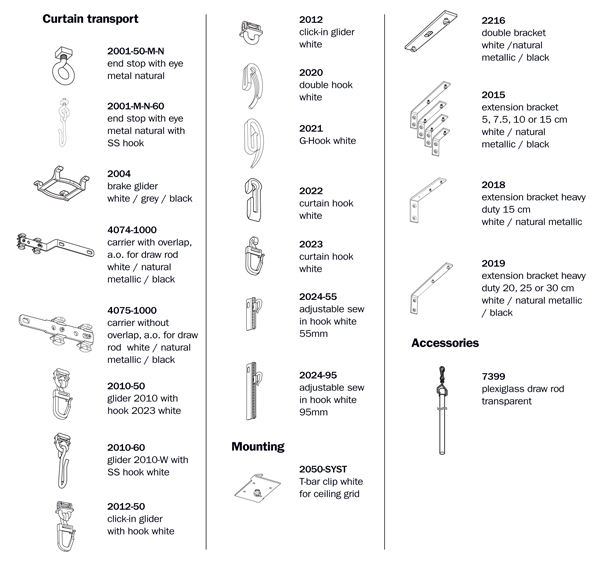 •	Always use a T-bar clip 2050-SYST in combination with ceiling support brackets 2150 when fixing to ceiling tiles. •	Wall mounting with plastic wall support brackets 2151 with covers to conceal the screw. •	When mounting at a distance from a wall, always use extension brackets 2015 (5, 7.5, 10 or 15cm) in combination with ceiling support brackets 2150. 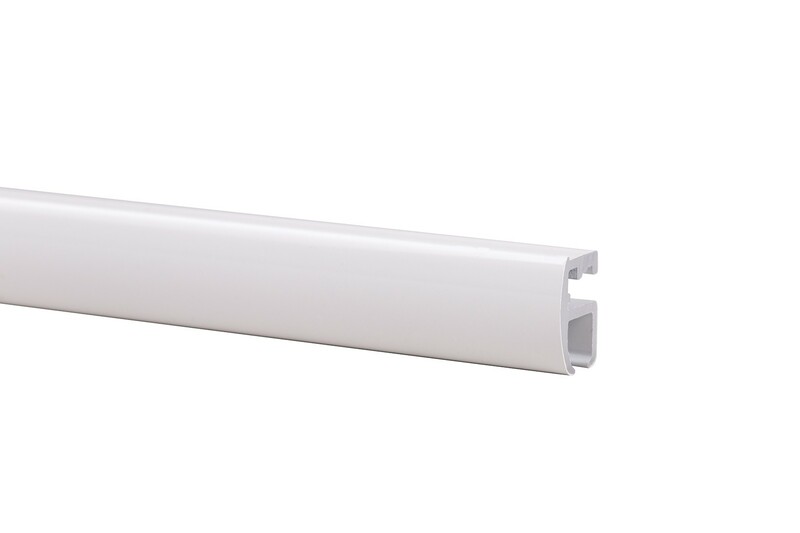 •	When mounting at a distance from a wall, always use heavy-duty extension brackets 2018 (20cm) and 2019 (20, 25 or 30cm) in combination with ceiling support bracket 2150. 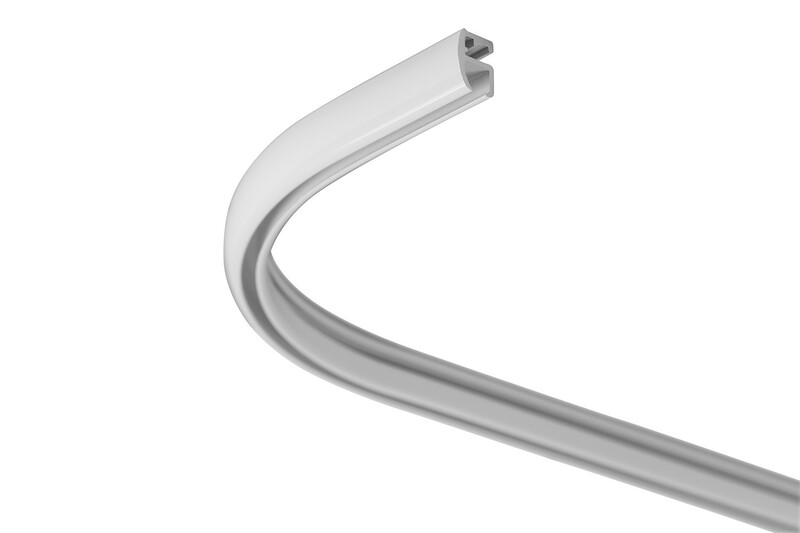 •	Use the special glider stop for ‘spring-back’ curtain sets: fit the glider stop over a 2010 glider after it has been inserted in the channel profile. Several glider stops can be placed if necessary. Aluminium EN AW-6060 T66. Shape and size tolerances in accordance with EN12020. 2102 track weight: 166 gr/m. Goelst self-lubricating, UV-resistant gliders made from high-quality plastic. Twelve 2010 gliders per metre and two 2001 end stops plus two 2153-02 end caps per track length. Connecting bridge 2152. 2010 gliders are available with various hook types. Metal end stop with eye 2001-M-N. Glider stop 2004. 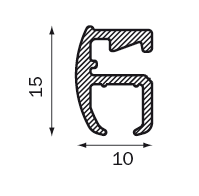 Overlap brackets 4074-1000 and 4075-1000. Parallel ceiling mounting using double fixing bracket 2216 (ceiling support bracket 2150 also required). Wall mounting with plastic bracket with cover 2151. (wall support bracket 2151 also required). • Advice: Drill an additional hole on the stacking side(s). See fixing guide.